Dr. Robert Sloat is a highly experienced administrator in the field of human services, with over 35 years of experience in management, training, testing, evaluation and seminar development. 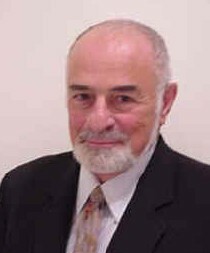 His expertise includes budget development, evaluation, simulation techniques (in-basket items), program design, personnel management, and staff acquisition and training. He has served as a grants manager and consultant, and in-service trainer for both institutions of higher education and non-profit agencies. He is the author of 25 publications, the presenter of more than 40 papers on topics including organizational theory, adolescent suicide, attention deficit disorder, the nature of intelligence, the gifted, and similar writings in education, sociology, psychology and administration. He is currently working for L.J. Craig & Associates, Inc. on various testing and assessment projects. He has worked as a field interviewer and assessment leader for the National Opinion Research Center at the University of Chicago and the Research Triangle Institute at the University of North Carolina. These institutions serve as the primary investigative arm which collects data for multi-year studies. These studies funded by such federal offices as the Agency for Health Policy and Research, the Health Resources and Services Administration and the Administration of Children, Youth and Families. The funding of these agencies is provided by the National Institutes of Health, the Department of Education and the Department of Health and Human Services. As a consultant, Dr. Sloat has worked with a number of community colleges, including Daytona Beach Community College (DBCC). At DBCC he authored a special guide focusing on test taking skills for student athletes. He also evaluated their assessment center and development program and designed a model for revision of both programs utilizing the TABE (Test of Adult Basic Education) and current evaluative instruments for adult learners. At both DBCC and Lake City Community College, he revised a faculty handbook and wrote a training program to facilitate the inclusion of disabled students in regular class offerings. At these institutions he served as a resource to members of the faculty, staff, and administration on issues related to the rights and responsibilities, under state and federal law, of disabled students. Dr. Sloat has been on the faculties of Florida Atlantic University, the University of Northern Colorado, and Texas Women’s University. At these universities he taught in the departments of Psychology, Rehabilitative Services, Counseling and Guidance, Educational Administration, and Exceptional Child Education at the doctoral, graduate and undergraduate levels, as a tenured full Professor. He authored and taught courses in counseling, substance abuse, and the abusive personality (including suicide and child/spouse abuse), and medical, psychological, and sociological aspects of disabilities. In addition, as a Project Director of numerous Federal and State Training Grants, he managed and supervised the budgetary and training aspects of these grants.